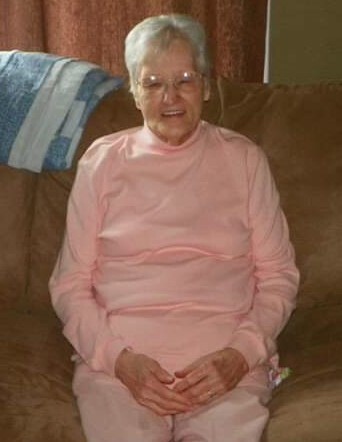 Obituary for Rosalie A. Miller | Donald R. Crawford Funeral Home, Inc.
Rosalie A. Miller age 80 of Ohiopyle, PA passed away March 26, 2019 in the Uniontown Hospital. She was born November 16, 1938 in Indian Head, PA. She is the daughter of the late Homer R. Miller and Vera I. (Wilhelm) Miller. In addition to her parents she is preceded in death by her brothers and sisters Betty Crawford, Leroy Miller, Alita Graham and Robert Miller. She is survived by her children Sue Morrison (Doug) of Ohiopyle, PA, Tina Rodeheaver (Chub) of Chalk Hill, PA, Donny Sarver (Kellie) of Markleysburg, PA, Vicki Sarver (Dave) of Uniontown, PA, grandchildren Jeremy Devanney (Chris), Tabitha Devanney (Chris), Nicole Devanney, Heidi Rodeheaver (Scott), Ryan Rodeheaver (Angi), Colby Sarver (Jordon), Olivia Sarver, Zack McCrobie, great grandchildren J.J., Madison, Tyler, Wesley, Gia, Graci, Allie. Brothers and sisters Sidney Walsh of Pittsburgh, PA, Priscilla Ream of Somerset, PA, Judy Gautreaux of Georgia, Harold Miller of Greensburg, PA, Thomas Miller of Somerset, PA, Russell Miller of Ohio. Friends will be received in THE DONALD R. CRAWFORD FUNERAL HOME FARMINGTON, PA on Thursday March 28, 2019 from 6-8 Friday March 29, 2019 from 2-4 and 6-8 and Saturday until 11:00 am the hour of the service with Pastor Dale Rexrode officiating. Interment will follow in Addison Cemetery.